In a continent often painted in a poor light, home-grown innovation has been on the rise. In the absence of high speed internet, most activity has focused on mobile technology. Today, a tech-savvy programmer with access to a computer, cheap mobile phone, software development kit and the kind of entrepreneurial flare which many Africans have in abundance, possesses all the tools they need to solve a business, technical or social problem. And solving them they are. 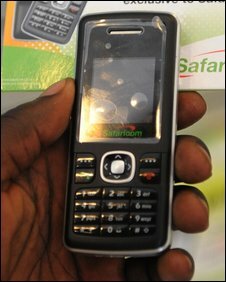 Innovation around the mobile phone is particularly interesting in Africa, often because it is born out of necessity. What's more, many African countries present us with an interesting environment where innovation in services is as common as innovation in hardware and software. If there's one thing I've noticed over the past 16 years working on-and-off in Africa, it's this. Africans are not the passive recipients of technology many people seem to think they are. Indeed, some of the more exciting and innovative mobile services around today have emerged as a result of ingenious indigenous use of the technology. 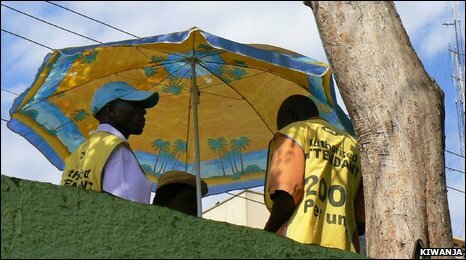 Services such as "Call Me" - where customers on many African networks can send a fixed number of free messages per day when they're out of credit requesting someone to call them - came about as a result of people "flashing" or "beeping" their friends (in other words, calling their phones and hanging up to indicate that they wanted to talk). Today's more formal and official Call-Me-style services have come about as a direct result of this entrepreneurial behaviour. The concept of mobile payments did, too. In increasing numbers of African countries it's possible to pay for goods and services through your mobile phone, something which remains a distant hope for most people in so-called developed countries. Indeed, users in rural Uganda were figuring out innovative ways of using their phones to make payments long before Vodafone and Safaricom formalised the service under the guise of M-Pesa. If you're looking for innovation in mobile payments, then look no further than East Africa, fibre or no fibre. Local innovators are also at work in the middle ground between the grassroots and the more formalised private sector. Here, talented individuals are building all manner of solutions to all manner of problems. You only have to look through sites like Afrigadget, which proudly showcases African ingenuity, to see the kinds of things that are possible, even in resource-strapped environments. Things like Pascal Katana's "Fish Detector" which, with the aid of a mobile phone, is able to acoustically detect shawls of fish and alert nearby fishermen by SMS. Or Morris Mbetsa's "Block & Track" mobile phone-based anti-theft and vehicle tracking system. Both innovations are equally ingenious, but the innovators backgrounds couldn't be more contrasting. 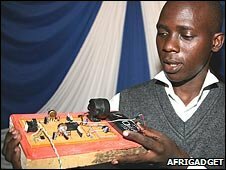 While Pascal is a fourth year student at the Department of Electrical and Information Engineering at the University of Nairobi, Morris has no formal electronics training at all. All they have in common is that they're both from Kenya and they're both smart, tackling real problems, entrepreneurial and driven. Spotting and nurturing this kind of talent is seen as critical to the growth of the information and communication technologies sector in East Africa, and universities are increasingly at the centre of this new push. A number of initiatives today continue the earlier pioneering work of Nathan Eagle, an MIT Professor who, through his EPROM initiative introduced the idea of mobile phone programming courses to East Africa's Computer Science Departments. Now, universities including Strathmore in Kenya and Thies in Senegal regularly organise mobile "boot camps" which, over two or three days, take students through a crash course in mobile applications development. Although the business community would have preferred it to have happened much earlier, for the mobile community the timing of the Seacom cable might just be about right. I say this for three reasons. Firstly, momentum is building on the education front, with increasing opportunities for students to learn how to program and innovate around mobile, the most widely adopted technology in use in their countries today. Secondly, for the first time last year, more mobile devices were shipped to Africa with data capabilities than without. Very soon, for the first time, the majority of consumers will possess a device with the potential to connect to the internet, spurring a whole new raft of opportunities for budding innovators and entrepreneurs. And finally, wireless technologies - likely a mixture of GSM and Wimax, and maybe others - will likely be the solution to sharing East Africa's new-found bandwidth among the majority of its citizens. Increased coverage, particularly in the so-called last mile, represents further opportunities, particularly for the development sector who at present struggle to reach many of the people there. As more and more people become connected and East Africa increasingly connects to the rest of the globe, the power and spirit of African entrepreneurship will be difficult to ignore. There's little doubt that this spirit has always been there, but perhaps it's just taken mobile technology - and now, perhaps, the arrival of a certain fibre optic cable - to create an environment in which much of it can really begin to thrive. Ken Banks is founder of kiwanja.net, an organisation which uses mobile technology for positive social and environmental change in the developing world.